Home/FEATURED/Android/Honor 20 series to be unveiled May 21, and the number 4 is important? Honor has sent out invites to its Honor 20 series launch in London on May 21. Honor’s new smartphone lineup is expected to include at least two new devices, the Honor 20 and Honor 20 Lite, though a clue in the invitation suggests we may see even more. Honor’s invite includes several interesting details, including side-by-side images of London’s Tower Bridge in low-light, and the hashtag #CaptureWonder. Honor has likely prioritized camera capabilities on the Honor 20 series as it has done with most of its recent flagships releases. It’s no doubt clear in this case for smartphone enthusiasts, but Honor also notes the images in its invite are for illustration purposes only — likely a response to Honor’s parent company Huawei being recently accused of misleading consumers with its photographs. The date formula courtesy of the number four at the bottom left of the invite generates the number 521, i.e. May 21; however, there may be more to these digits than the date alone. The repeated use of the number four suggests Honor has something planned that relates to it; perhaps the Honor 20 will have quad-camera setup or the company will introduce four phones. Could we see an Honor 20 Pro and Honor 20 Pro 5G model too? Four phones at launch wouldn’t be completely unheard of — Samsung only recently introduced the Galaxy S10 series which included low-, mid-, and high-tier S10 models, plus a 5G variant. That said, Samsung is a far larger company than sub-brand Honor, with more resources to pull off such a big product launch (the Galaxy Fold was also there, though it isn’t part of the core S10 series). This is what the Honor 20 Lite may look like. We’ve heard little about the Honor 20 and Honor 20 Lite from leaks, but those we have caught have been fairly detailed. The Honor 20 is said to come with a triple rear camera with 48-megapixel main sensor, 20MP secondary sensor, and an 8MP tertiary camera, as well as a 32MP camera up front. Additionally, it’s tipped to be equipped with a Kirin 980 processor, 6GB or 8GB of RAM, 128GB or 256GB of storage, and a 3,650mAh battery. We don’t know display specs yet, but it may have an in-screen fingerprint sensor. The Honor 10 was released in April last year in China and May in global markets. In the U.K., it started at a reasonable 399 pounds (~$523). We should learn more price and availability details at the series’ launch. Until then, give us your thoughts on what you expect from the Honor 20 series in the comments. 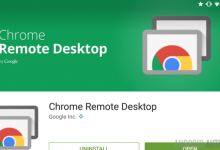 5 best remote desktop apps for Android!